1. UCLA as well as Cal State Dominquez were both almost located in Rancho Palos Verdes: A section of 1,000 acres was originally set aside by the planners of the Palos Verdes Project for a University campus, In November 1921, a proposal was made for the relocation of the southern branch of the University of California , which later became UCLA. This land was in the center of the Palos Verdes Peninsula where Peninsula High School, the Peninsula Shopping Center, and the Avenue of the Peninsula Shopping Center is located. The proposal, in addition to the donated 1,000 acres, included other inducements. These inducements included $1,000,000, the construction of a model grammar school and a model high school to be run by the University's Department of Education, a marine biological station and public aquarium, an art museum, a theatre seating 1,500, a boathouse at Portuguese Bend and a football stadium to seat 144,000. 2. 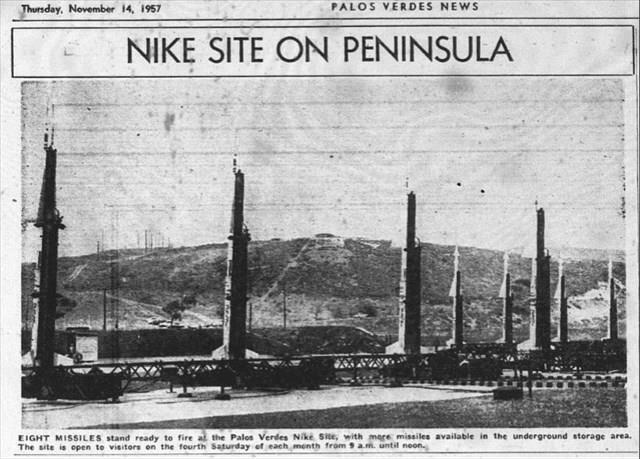 Rancho Palos Verdes City Hall was a Nike Missile base: From 1955 to 1974, a Nike Missile battery was located at the site of the current Rancho Palos Verdes City Hall. The City Hall for Rancho Palos Verdes was relocated to the administration buildings of the former Nike missile site in 1975, shortly after the City of Rancho Palos Verdes was incorporated in 1973. 3. 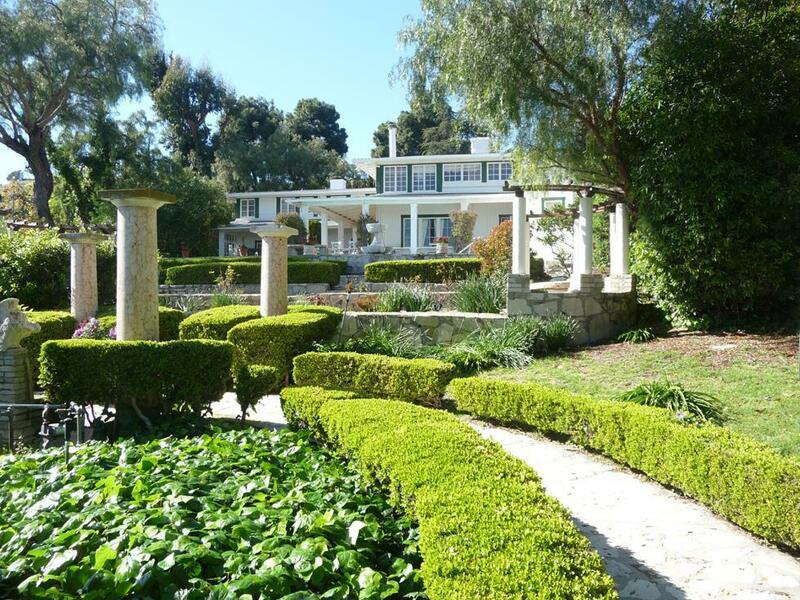 The Vanderlip Mansion in the Portuguese Bend area of RPV is still owned by the Vanderlip family: Frank Vanderlip, the "Father of Palos Verdes"constructed his first residence on the Peninsula in 1916 in the Portuguese Bend area, the "Old Ranch Cottage", now known as the "Cottage". 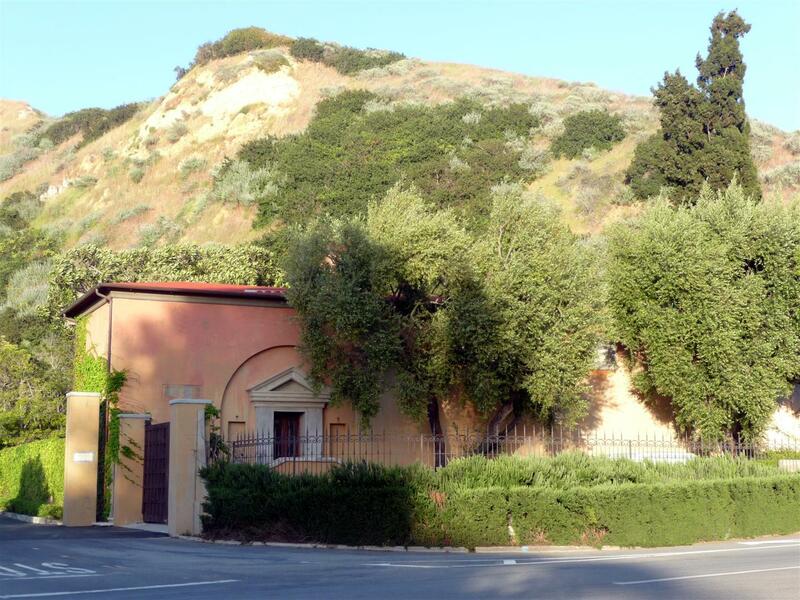 (See The History of Rancho Palos Verdes) Other buildings were added to the estate in the 1920's including a small guest house and garage called "La Casetta" and a larger guest house known as the "Villetta", now known as "Villa Narcissa".The Cottage was still owned by Suzanne Vanderlip, the widow of John Vanderlip, the youngest son of Frank Vanderlip, Sr., until her death at the age of 87 on Nov. 17, 2010, and was sold for the first time outside of the Vanderlip family in September 2012 ( I was the listing agent on the sale ). Villa Narcissa is still owned by the children of Elin Vanderlip, the widow of Frank Vanderlip Sr.'s second son, Kelvin. Kelvin and Elin lived at the Cottage from the time of their marriage in 1946 to 1950, at which time they moved to the Villa Narcissa next door. Elin continued to occupy the Villa until her death at the age of 90 in July 2009. .Another structure, a barn and stables called the "Farmstead" later became the Portuguese Bend Riding Club.The Vanderlip properties are located at the end of Vanderlip Drive, near the end of Narcissa Drive, the road through a private gated community just south of the Wayfarers' chapel at the beginning of the Portuguese Bend area, and public access to visit the property is not available. You can see the original gatehouse to the property at the gated entrance of Narcissa Drive just off of Palos Verdes Drive South. 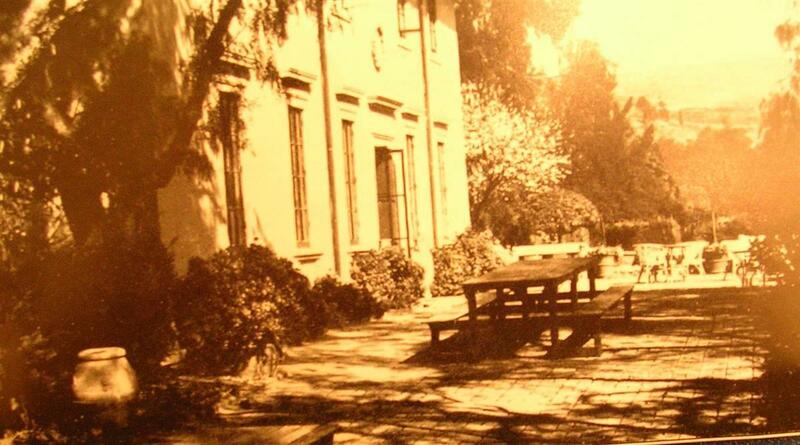 4.Is the Vanderlip Estate haunted? : No, it is definitely not haunted, despite persistent rumors that it is haunted. The home was built by Frank Vanderlip Sr., the original developer of the Palos Verdes Peninsula who, with an investment group, purchased the entire Palos Verdes Peninsula in 1913. Two completely untrue stories have circulated on the internet that the wife of Frank Vanderlip went crazy there, or that a daughter of Frank Vanderlip had an illicit affair and was put into an insane asylum across the street. These stories are ridiculous but the stories still appear on several websites devoted to haunted places. 6. Is there a nudist beach in Rancho Palos Verdes? Although it is illegal, many sun worshipers, without clothing,have been known to frequent a beach at Smuggler's Cove, in the Portuguese Bend area of Rancho Palos Verdes. This beach is accessed by a trail across the street from Pepper Tree Drive on Palos Verdes Drive South. See picture in #45 below. 7. Why is there such a large undeveloped area in the Portuguese Bend area, and why is the road in such bad shape? This area suffered a significant land slide in 1956, which continues to this day, which requires constant road maintenance and repair to the land movement. The landslide destroyed many homes in this area, and a prohibition against building in this area has existed since then. From 1945 to 1956, until the 1956 landslide, the Livingston Quarry operated, mining such minerals as barite, quartz, dolomite, gypsum, as well as basalt that was mined for use as a railroad bed material, as well as rocks used in the Long Beach breakwater. 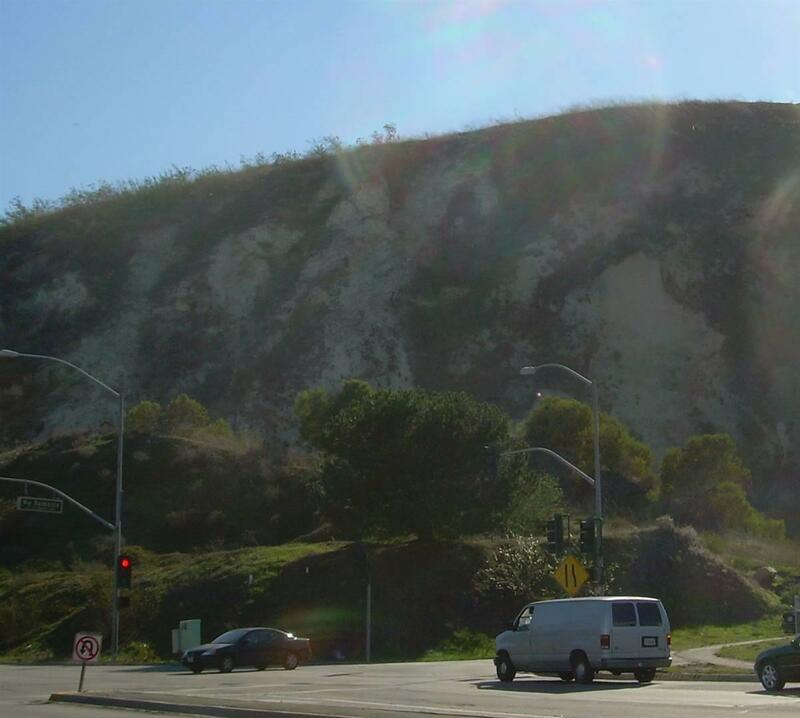 The Livingston Quarry area can be viewed by turning on Forrestal Drive, across the street from Trump National Golf Club off of Palos Verdes Drive South, and driving past the Ladera Linda Community Center and past the gate. This area is part of the Forrestal Preserve area, which was purchased as a nature preserve in 1996. 8. What are the large round white domes above Palos Verdes Drive East, just up from Palos Verdes Drive South? The two large round white buildings visible from Palos Verdes Drive East at the top of the hill house a radar facility that is still operational. It is run by the Federal Aviation Administration which continues to use the facility for long-range radar. The Los Angeles Air Route Traffic Control Center uses the facility to control air traffic into and out of Los Angeles. The FAA took over the facility from the U.S. Air Force in 1960. 9. Why does the Palos Verdes Art Jury have jurisdiction over a part of Rancho Palos Verdes in the Miraleste area? The Miraleste area of Rancho Palos Verdes was part of the original Palos Verdes Project which was developed in the 1920's and 1930's, and was subject to the same deed restrictions that were recorded on the lots which later became part of the City of Palos Verdes Estates, which included architectural review authority by the Art Jury of the Palos Verdes Homes Association. 10. 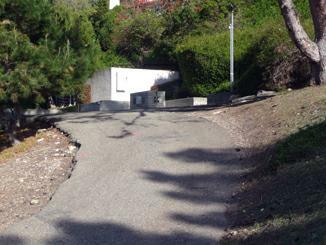 What is the undeveloped rocky area behind the gates at the southwest corner of Hawthorne and Via Valmonte?. This area beginning in 1944, before Hawthorne was extended past the current Via Valmonte in 1965, was a diatomaceous earth (dicalite) mine, that extended into the area now occupied by the Hillside Village shopping center. This mine at one time contained 300 acres and had been leased by the Great Lakes Carbon Corporation from the Vanderlip family, that still owned approx.6,800 acres of the original 16,000 acres retained by Frank Vanderlip when he sold the land which made up the Palos Verdes Project. Another rich deposit was known to exist on a 165-acre tract near the crest of the Peninsula. For two years, the Great Lakes Carbon Corporation had been unsuccessfully attempting to purchase this property from the Vanderlip family. Finally, in July 1953, the Great Lakes Carbon Corporation purchased all 6,800 acres from the Palos Verdes Corporation, the Vanderlip family's corporation. 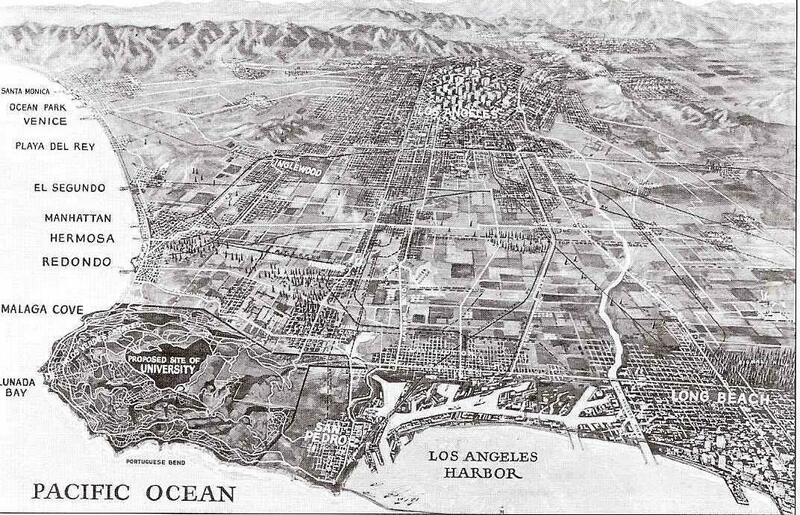 The Great Lakes Carbon Corporation, realizing that this land would be more valuable if developed,then created a master plan for the acreage, which later became the cities of Rancho Palos Verdes, Rolling Hills, Rolling Hills Estates, and the unincorporated area known as Palos Verdes Peninsula. 11. Why are the streets blocked off between the Valmonte area of Palos Verdes Estates and the Hollywood Riviera area of Torrance? The Palos Verdes Peninsula population grew rapidly after World War II. 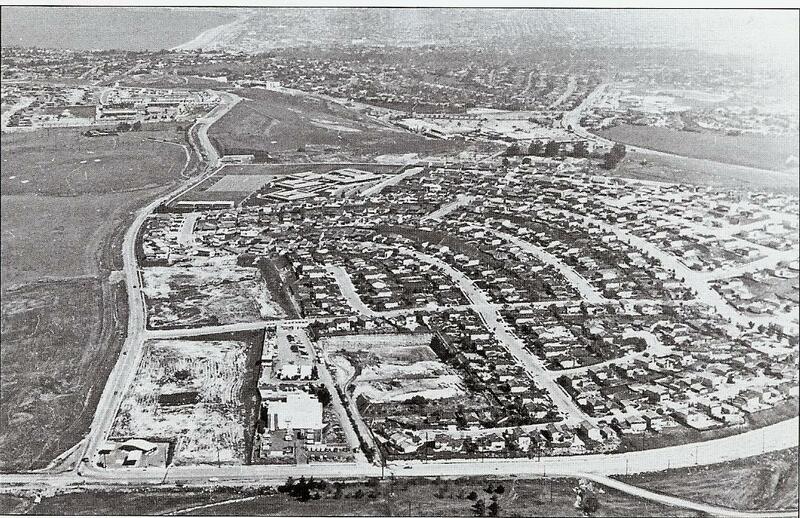 In 1946, construction began on several housing tracts in Hollywood Riviera. The best route for construction trucks at the time was up Hawthorne Boulevard, which at that time did not go all the way up the hill to the top of the Peninsula, but instead veered to the right at Via Valmonte (which at the time was Hawthorne Avenue) and ended at the Palos Verdes Country Club. The residents of the Valmonte area of Palos Verdes Estates were so irritated and inconvenienced by the large amount of traffic of dump trucks, bull dozers, etc. traveling to the Hollywood Riviera housing tracts that they prevailed upon the City Council of Palos Verdes Estates in 1948 to construct barriers in the middle of Via Alameda, Via Pasqual, and Via Colusa just inside the PVE city limits, and they've been there ever since. 12. Who owns "Annie's Stand", the produce stand near Abalone Cove Shoreline Park, and who is Annie? On March 10, 2005,Doug Hatano, who farms in the area, leased the stand from the City of Rancho Palos Verdes for a 5 year period. 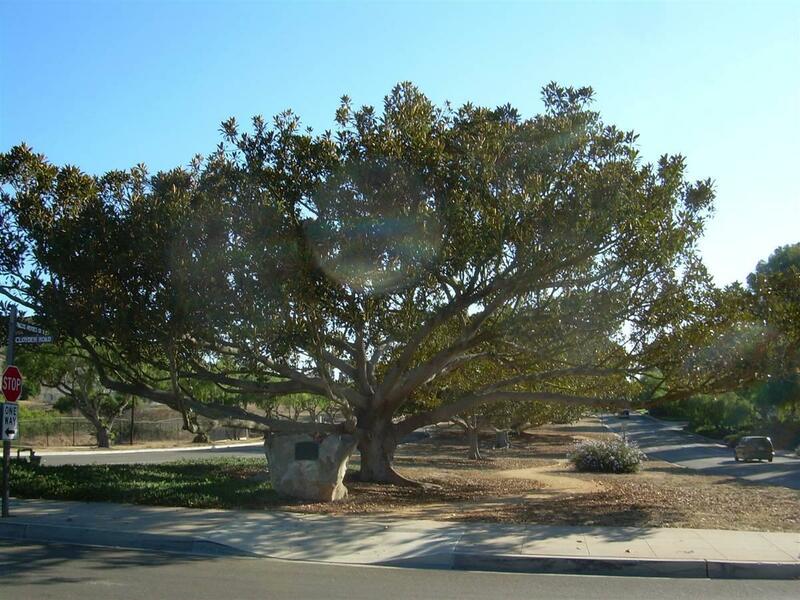 He retained the name "Annie's Stand" which was named in honor Annie Ishibashi, whose family farmed in the Portuguese Bend area of Rancho Palos Verdes for many years. In October 2011, the City of Rancho Palos Verdes announced that the stand would be disassembled and stored for possible reconstruction at a future location . 14. Why do some of the areas of the Palos Verdes Peninsula have a mailing address of "Palos Verdes Peninsula", instead of one of the four cities on the Peninsula? There is a small area at the northern part of the Palos Verdes Peninsula within the boundaries of the City of Rolling Hills Estates which is in an unincorporated area and is governed only by the County of Los Angeles. This area is the residential area on either side of Crenshaw Boulevard,south of Palos Verdes Drive North, which is accessible only from Palos Verde Drive North, as well as a small area just south of the intersection of Rolling Hills Road and Crenshaw Boulevard. 15, Palos Verdes Estates residents don't have to put their trash out at the curb: To eliminate the unattractive sight of trash cans in front of homes on trash pick-up day, the City of Palos Verdes Estates has their trash contractor get the trash cans from a trash yard area of each home in the City. 16, Home colors in Rolling Hills: The deed restrictions of the homes in the gated community of Rolling Hills require that all homes be painted white, and that they can only be one level. 17. 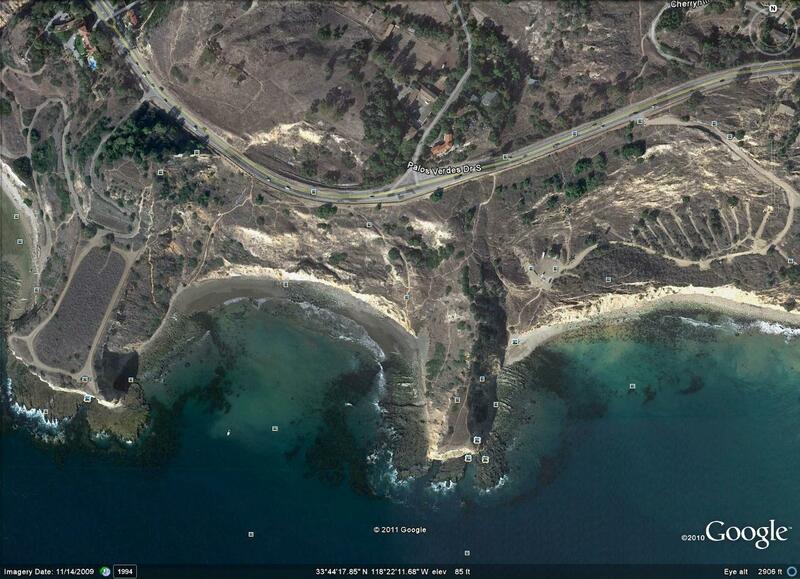 Is there a shipwreck at the bottom of the cliffs at Rocky Point in Lunada Bay? One interesting event that occurred in 1961, which people still talk about, was the running aground of the Greek freighter Dominator just off of Rocky Point. The freighter was heading south along the Palos Verdes coast line, and thinking they had reached the Los Angeles harbor, made an ill-fated left turn too early and ran aground. Only a small amount of remnants of the ship can still be seen at low tide. 19. In addition to Marymount College in Rancho Palos Verdes, another college used to be located on the Palos Verdes Peninsula: In 1947, Palos Verdes College, a small, private, independent junior college opened at the current site of Rancho del Mar High School in Rolling Hills. The college initially occupied barracks which were used in WWII. The college, at its peak, served approximately 100 students. Some of the college's students included Elizabeth Taylor's brother, and Leslie Caron, the film star. 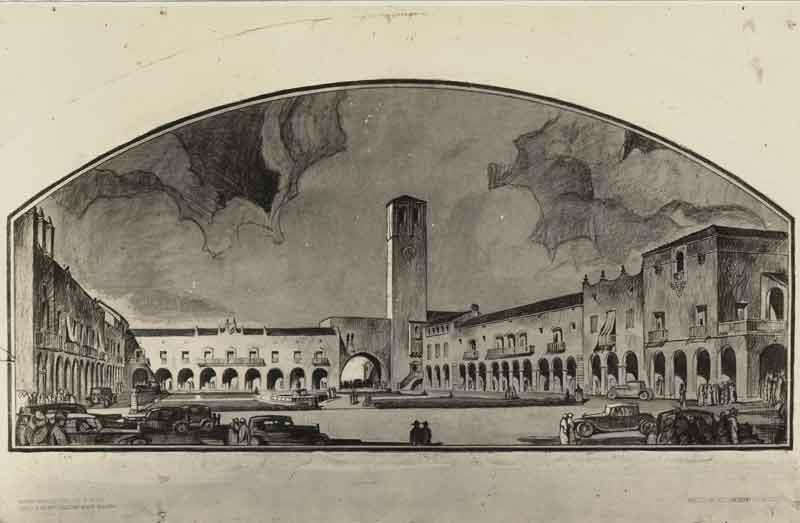 The college had plans to construct a permanent campus, however fund raising was never adequate to realize these dreams, and the campus closed in 1955. The barracks buildings were used as administrative offices for the Palos Verdes School district after the college's closing. 20. Where did the peacocks of the Palos Verdes Peninsula come from? : The origin of the peacocks that inhabit the Palos Verdes Peninsula is somewhat disputed. Frank Vanderlip Jr. , in an interview, stated that the peacocks were a gift from Lucky Baldwin, a prominant investor and businessman and a friend of Frank Vanderlip Sr. around 1924. In this version, Mr. Vanderlip was visiting with Mr. Balwin at Mr. Baldwin's estate in Arcadia, and admired his flock of peacocks that had originally been imported by Mr. Baldwin from India in 1879. Mr. Vanderlip then commented that his Villa Narcissa was "too quiet", and that Mr. Baldwin then gave Mr. Vanderlip 6 peacocks to "liven the place up". Elin Vanderlip in her book published shortly before her death, also states that the peacocks were a gift from Lucky Baldwin.This, however, would not have been possible as Mr. Baldwin died in 1909, prior to Mr. Vanderlip's purchase of the Palos Verdes Peninsula. Another version has Anita, the daughter of Mr. Baldwin, giving the peacocks to Mr. Vanderlip years after Mr. Vanderlip had admired Mr. Baldwin's peacocks at Mr. Baldwin's estate prior to Mr. Baldwin's death.Yet another version, published by Francine A. Bradley, Ph.D. UC Davis, in a report to the City of Rancho Palos Verdes on managing peafowl on the Palos Verdes Peninsula, states that the original peacock colony on the Palos Verdes Peninsula was a gift of 16 birds from the daughter of William Wrigley, Jr. to Frank Vanderlip, Sr. from Mr.Wrigley's aviary on Catalina Island. This version was supported by an interview with Mrs. John Vanderlip (Suzanne Vanderlip ) in 2000. There is a conflict in dates with this story, however. If the peacocks came to The Cottage in Palos Verdes in 1924 as Frank Jr. recollects, the peacocks could not have come from Catalina, as the Wrigleys did not start their aviary until 1927. The most logical story seems to be that the daughter of Lucky Baldwin was the source of the Palos Verdes peacocks. One thing that does not seem to be disputed is that in later years, Mr. Vanderlip's collection of birds ( other than the peacocks ) were donated back to Mr. Wrigley's aviary on Catalina Island. These birds were maintained at the Vanderlip Estate in Portuguese Bend. It is suspected that some of the birds were introduced to Palos Verdes Estates by former mayor Fred Roessler sometime in the period from 1960-65. There are now numberous peacock colonies in Rancho Palos Verdes in the Crestridge, Vista Grande, and the Portuguese Bend areas, as well as in the Lunada Bay and Malaga Cove areas of Palos Verdes Estates. 21. Where did the fountain in Lunada Bay come from? : The fountain in the median strip of Palos Verdes Drive West in Lunada Bay was a gift in 1965 from funds raised by neighborhood children organized by Jeane Burke, a resident of Rocky Point in Lunada Bay, and a plaque at the fountain displays the fountain's name: "La Fuente de los Ninos" (the fountain of the children). When asked why she was inspired to create a fountain at the intersection with Yarmouth Road, Mrs. Burke replied, "I didn't want to say, "Turn at the gas station to get to my home'". (source:Peninsula News 6/1/2006). 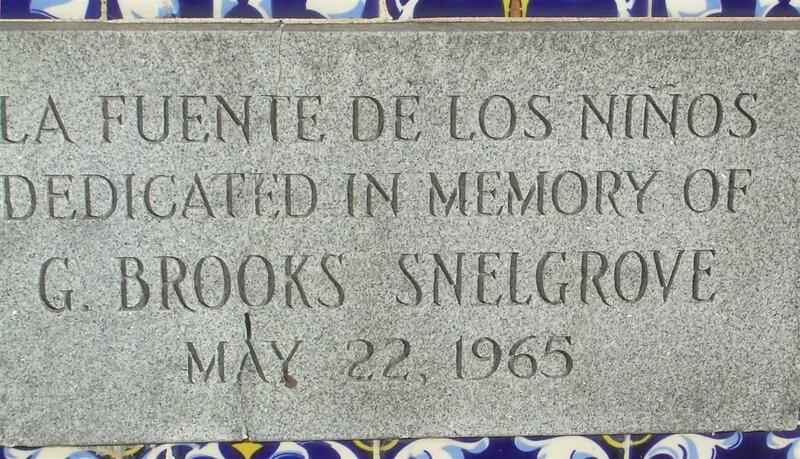 The fountain is dedicated to G. Brooks Snelgrove, who was very active in Palos Verdes Estates community affairs for over 34 years, and the circle in front of Palos Verdes Estates City Hall is also dedicated to his memory (He died on November 22, 1962). Mr. Snelgrove was the original engineer for the Palos Verdes Project in 1923, and was responsible for the construction and engineering of the Malaga Cove Plaza Neptune Fountain. The fountain was completely renovated in December 2008. 22. Where are some of the best public views from the top of the Peninsula: In my opinion, two of the best views from the top of the Peninsula are located in Rancho Palos Verdes in Del Cerro Park, which can be reached at the end of Crenshaw Boulevard just past St. John Fisher, and from Via Del Monte in Palos Verdes Estates, near the top of the hillside overlooking Malaga Cove. 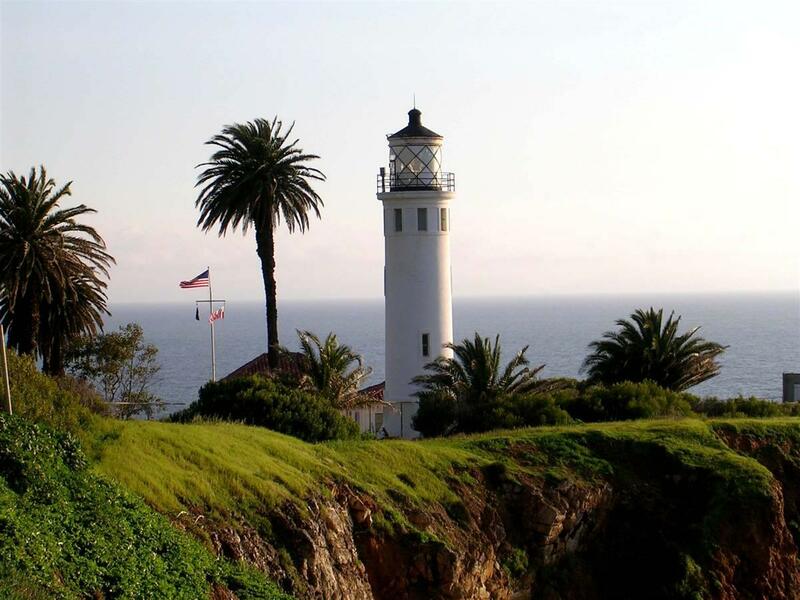 The view from Del Cerro park is spectacular, including the entire Palos Verdes Drive South area from the Point Vicente lighthouse (including the new Terranea Resort, Abalone Cove, the Wayfarers' Chapel, and the Portuguese Bend landslide) all the way to the Trump National Golf Course. The View from Via Del Monte can be reached by taking Via Del Monte, which is the street just behind Malaga Cove Plaza, just past the La Venta Inn. This gives you a great view of the "Queen's Necklace" view of the entire South Bay. 23. How did the beach, which is the last beach before the start of the Palos Verdes Peninsula in Torrance, get its' name "Rat Beach"?There are four stories about this. One says the name comes from an acronym for the beach "Right After Torrance". Another says that it stands for "Redondo and Torrance" beach. The two most recent ones that I have heard are that the name was coined by local surfers. The first story says that "Rat Sh _t Beach" was coined by local surfers in the early 60's because, at that time there was little sand at that end of the beach. They didn't dredge and add sand until 1968-69. 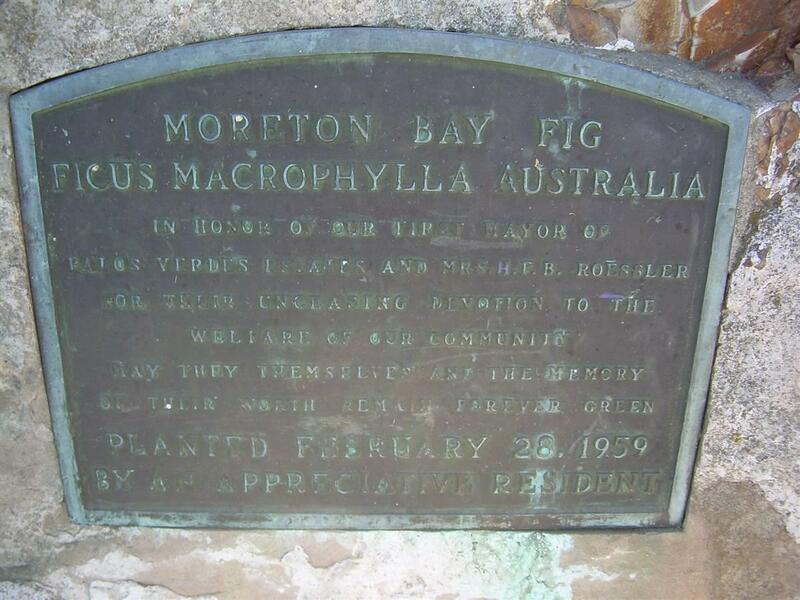 There was also a seasonal creek which attracted a lot of rats, which of course left a lot of rat poop , thus the name.The second story told by members of the Haggertys Surfing Club was that it was named in honor of professional surfer Rick Irons after his pet rat in the 1960's. 24. The statue of King Neptune at the Neptune Fountain in Malaga Cove Plaza in Palos Verdes Estates is a replica of a replica. 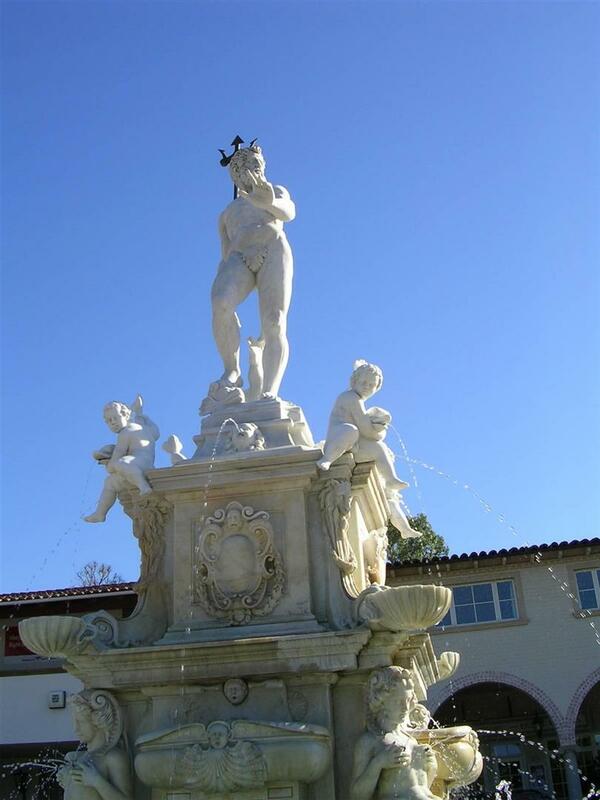 The original statue was installed in Malaga Cove Plaza in 1930 and was a replica of the original statue of King Neptune at the Neptune Fountain in Bologna, Italy, and was approx. two-thirds the size of the original. The original statue had no fig leaf, which caused somewhat of a scandal when first unveiled. The current statue is a replica of the first, and was installed in 1969 when the original fell into disrepair and is somewhat smaller than the one installed in 1930, and had a discretely placed fig leaf added. 25. Why are there such large median strips on Palos Verdes Drive in Lunada Bay and Via Valmonte? The original planners of the Palos Verdes Project planned Palos Verdes Drive in these areas to accommodate the Pacific Electric Trolley cars, which were an integral part of the public transportation network in Los Angeles County in the late 1920's. 27. Why don't they widen Palos Verdes Drive North in Rolling Hills Estates since the traffic is so bad? City and community leaders in Rolling Hills Estates do not want the rural nature of their city destroyed, and believe that widening Palos Verdes Drive North in this area will only encourage more motorists to utilize this street to access the Harbor freeway, instead of using Pacific Coast Highway. Widening of the street would also destroy the beautiful trees and horse trails which line the street. This issue has been very controversial, with several county proposals in 1976 to widen PV dr. North defeated by a city wide poll and the city council. In 1978, the Rolling Hills Estates city council even debated closing Palos Verdes Dr. North to the east of Palos Verdes Dr. East due to the nightmarish traffic. 28. What is the small park off of Hidden Valley Road in Rolling Hills Estates, just north of Hawthorne Boulevard? Is this a public park?This park is a private soccer facility owned by Fram CQ, which is a recently consolidated soccer club (formed by the merger of Coastal Quest and Fram Sportskluben). The park had originally been donated by Elin Vanderlip, who is of Norwegian descent and owned by the government of Norway for the benefit of Norwegian merchant seamen using the Ports of Los Angeles and Long Beach. Rod Stewart frequently plays here on a men's team for recreation. 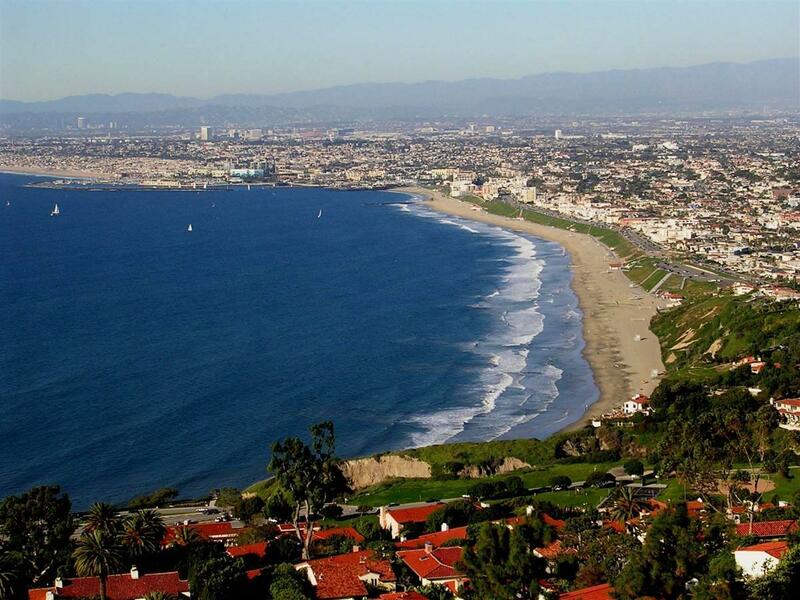 29.The original plans for the Palos Verdes Project had several different names planned for Palos Verdes Drive. Palos Verdes Drive North was originally planned to be named Granvia Valmonte from Malaga Cove Plaza through to Anaheim Street. Palos Verdes Drive West was to have been named Granvia La Costa. 30. The original plans for the Palos Verdes Project called for a second golf course in Palos Verdes Estates The original plans for the Palos Verdes Project in the late 1920's called for the construction of a golf course in the area currently occupied by George Allen baseball field off of Via Zumaya in upper Lunada Bay/Montemalaga. 31. The original plans for the Palos Verdes Project called for a third plaza area in Valmonte The original plans for the Palos Verdes Project in the late 1920's called for another grand plaza similar to that constructed in Malaga Cove, to have been located at the intersection of Via Campesina and Palos Verdes Drive in Valmonte. Resident, non-members may use the club for a day pass rate of $30 per person per day. Non-residents may also use the club for a day pass of $45 per person per day. These day passes may not be used on Memorial Day, July 4th, or Labor Day, and no guests are allowed on those days. Guests of members are $10 per person, seven days a week from 6/15 through Labor Day. Guest fees other times of the year are $7 per person. 34. 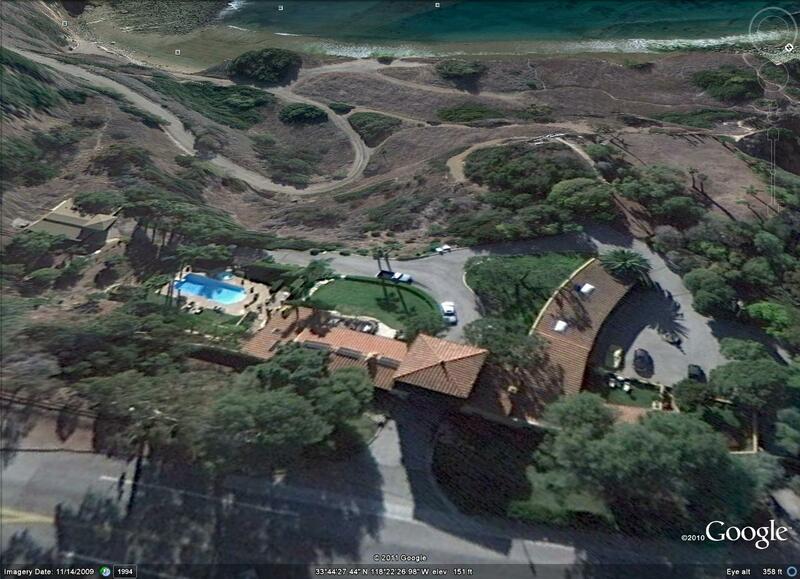 What is that large stone castle-like building near the entrance to Palos Verdes Estates on Via Valmonte? 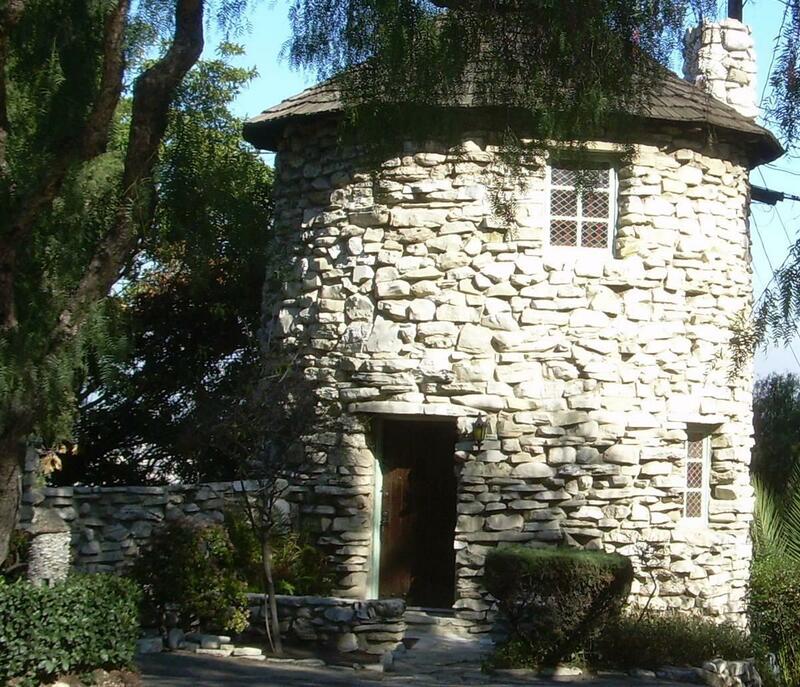 This stone, castle-like structure, which is at 4420 Via Valmonte, near the entrance to Palos Verdes Estates on Via Valmonte, just up from Hawthorne Blvd., was built in 1926 as a guard's house for what was intended to be a gated entrance to the new Palos Verdes Project. The structure is a two story 15 foot diameter round building with 18 inch thick walls.It has two floors; a bedroom and bathroom area upstairs and a living room with a stone fireplace and a kitchen downstairs. 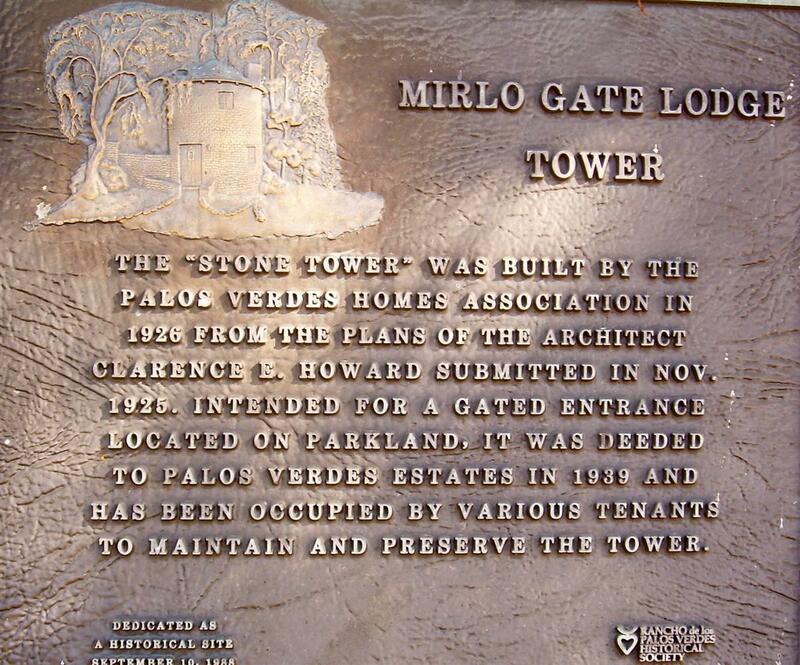 This structure was known as the "Stone Tower", "Tower House" and the "Mirlo Gate Lodge" (Via Valmonte was originally named Via Mirlo, was renamed Hawthorne Ave. prior to Hawthorne Blvd. being extended south over the Peninsula Hill to the ocean, and then renamed Via Valmonte). 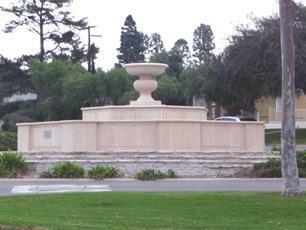 Title was taken to this structure by Palos Verdes Estates in 1939 when the city was incorporated. 35.What really happened when they closed Marineland? When Marineland closed in December1986,Harcourt Brace Jovanovich, which owned Sea World in San Diego, purchased Marineland, ostensibly to continue to operate it. Their intent, however, was to purchase Marineland solely to acquire Corky and Orky, a successful breeding pair of killer whales. Harcourt was in the process of rapidly expanding the Sea World enterprise throughout the nation, and was in desperate need of proven, successful breeding pairs of killer whales in order to supply their new Sea World locations with their headline act, "Shamu, the killer whale". Harcourt had been denied a permit to capture additional killer whales in the wild and was therefore limited to acquiring killer whales already in captivity. 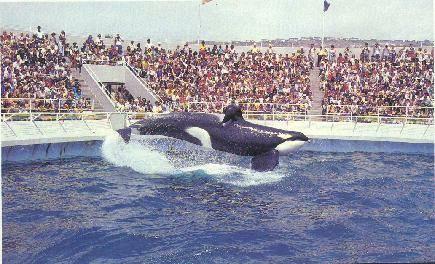 They therefore purchased the park, and within a few weeks after the purchase, moved Corky and Orky to their Sea World Park in San Diego in the middle of the night without any prior notice to the public, and closed Marineland claiming that the park was going to cost more money to renovate than they originally estimated. They had planned to sell the land to an Arizona developer from the beginning, and quickly did so after closing the park. Unfortunately, Orky, the male, died two years later in 1988, however Corky is still alive (she is now believed to be about 40 years old and the oldest of the seven killer whales in San Diego) and performing daily at Sea World in San Diego. She gave birth to seven calves, however all died soon after birth, with the oldest living only for 46 days. 36. Palos Verdes Estates once tried to annex Marineland - In early 1965, the City of Palos Verdes Estates attempted to annex a portion of present day Rancho Palos Verdes totaling 2.92 square miles bordered by High Ridge Road to the east and the Pacific Ocean, including the Marineland Park, in an attempt to broaden its tax base. See LA Times Article. This effort failed, however. 37. Palos Verdes was once considered for the location of Disneyland: In the early 1950's, Walt Disney's company WED Enterprises hired the Stanford Research Institute to conduct a search for the perfect site. The cities of Long Beach, Palos Verdes and Canoga Park were all considered but each had at least one strong disadvantage against it. Finally, Anaheim was selected as the location for Disneyland. 38. Hawthorne Blvd. through the Peninsula was completed in several segments: Road construction moved forward rapidly in the late 1950's and through the mid 1960's..Construction of Crenshaw Boulevard up a canyon from Palos Verdes Drive North to Silver Spur road commenced in mid June 1950. Construction of the extension of Crenshaw Blvd. to Palos Verdes South in the mid 1950's triggered the disastrous Portuguese Bend Landslide which continues to this day. 39. The Original Developer of Palos Verdes Estates was considered by some as a crook!!! 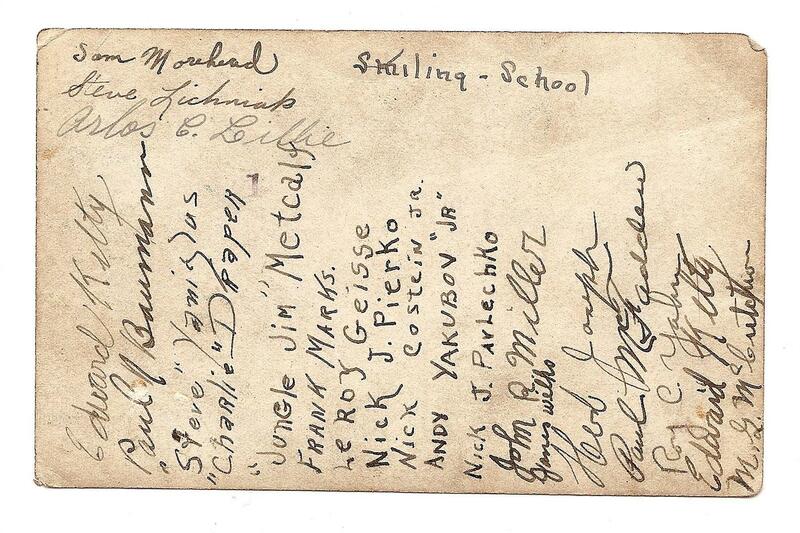 In November 1913, Mr. Frank Vanderlip had acquired approx. 16,000 acres of the Rancho de los Palos Verdes. He had grand plans to develop the Palos Verdes Peninsula, however World War I curtailed his plans. In 1922,a real estate developer named E.G. Lewis acquired the Palos Verdes Project, which would constitute the future City of Palos Verdes Estates and part of the MIraleste area of the current day City of Rancho Palos Verdes,through exercising an option to acquire the Property from Mr. Vanderlip.The community was called Palos Verdes Estates and had decreased in development area by one-fifth, from the original 16,000 acres to 3225 acres. Vanderlip held onto 13,000 acres in the southern portion of the peninsula for future development. Mr. Lewis was an entreprenuer and a visionary and was the founding father of two model cities, University City in Missouri ( founded by Mr. Lewis in 1904 in conjunction with the 1904 World's Fair) and Atascadero, California ( founded as a utopian colony by Mr. Lewis in 1913 ) prior to becoming involved with the Palos Verdes Project. To this day, Colony Days celebration is held in Atascadero every year honoring Mr. Lewis, and he is also held in high esteem and remembrance by the citizens of University City as that city's founding father. He was also a successful magazine publisher and investor where he made a fortune, but unfortunately later in his life disgruntled investors filed numerous lawsuits against him. The cable was signed J.E. McDonald. His history with Lewis was unclear, but he appeared to be a previous victim. After Lewis'' schemes for Trust Indenture Notes met with distrust by The Title Insurance and Trust Company of Los Angeles in February 1923, a new real estate trust financed by some 4,000 investors was created, and the revived Palos Verdes Project was again under the financial management of Vanderlip. Mr. Lewis was sued for $20 million by previous investors and in 1925 he declared bankruptcy. In 1927, he was sentenced to six years in federal prison He was paroled in 1931 but was sent back to prison for violating parole. Released again in 1935, he returned to Atascadero, where he spent the rest of his life as a penniless recluse and died in 1950. 40. 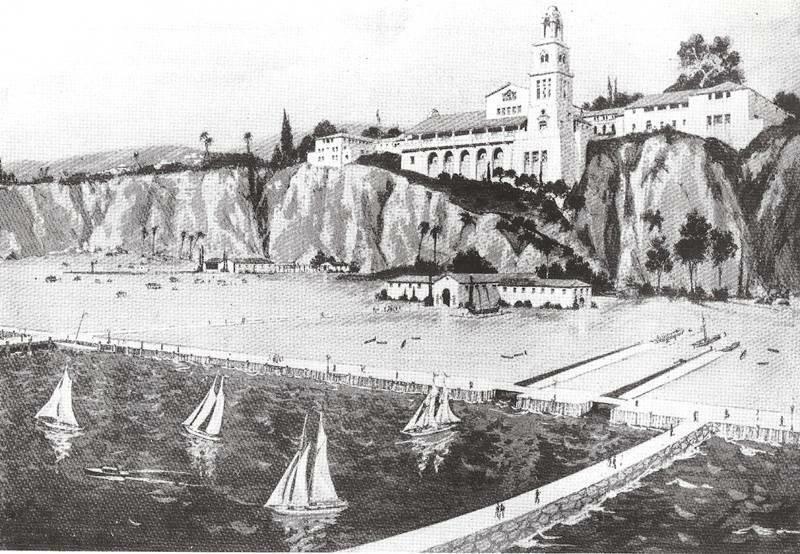 The original developer of The Palos Verdes Project in 1921 proposed a monorail from Downtown Los Angeles to Palos Verdes. Mr. E.G. Lewis was a grand visionary and also proposed the construction of a monorail with almost no stops between downtown Los Angeles and his proposed site for the Southern Branch of the University of California (UCLA), and including a spur to the Los Angeles Harbor. 41. Whats up with the little child care center on abalone cove? How did they get a permit to build there? 42. Why do some students in the Eastview area of Rancho Palos Verdes go to Los Angeles Unified Schools instead of Palos Verdes Unified School District Schools? In 1983 the unincorporated area of Eastview was annexed to the City of Rancho Palos Verdes, but there were no changes made to school district boundaries and Eastview remained in the Los Angeles Unified School District. During the years 1983, through at least 1995, the LAUSD opposed all attempts of the PVPUSD to revise its District boundaries to include Eastview. In 1991 the entire Board of Education for PVPUSD signed Resolution 16 supporting the territory transfer for the Eastview area from LAUSD to PVPUSD. PVPUSD was successful in using the school district reorganization process that included an election where 84% of the Eastview residents approved the transfer. However, the process failed when the courts determined that the election was invalid since it did not include residents of the LAUSD. Ultimately,SB 1681 made Eastview an optional attendance area in 1999. 43. Does anyone live in the Portuguese Bend Gatehouse at the gated entrance to the Portuguese Bend community? The Gatehouse at the entrance gate to the Portuguese Bend community was built by Mr. Vanderlip and was modeled after an Italian roadside chapel used by Michaelangelo when he painted the Sistene Chapel. It has one bedroom, two courtyards, one with a rose garden with a fountain and a high ceiling living room. It is currently occupied and is being beautifully restored by the current owners. 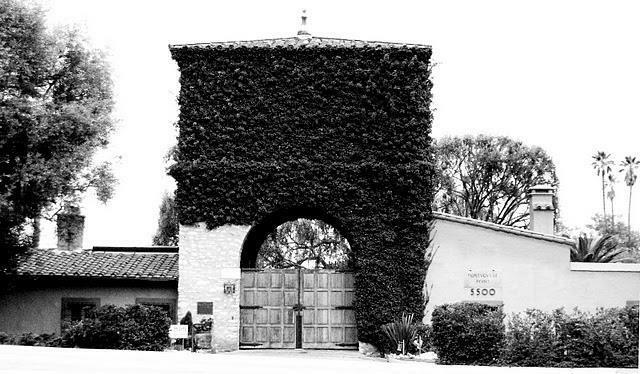 44. Who built the other gatehouse to the gated Portuguese Bend area on Peppertree Lane? 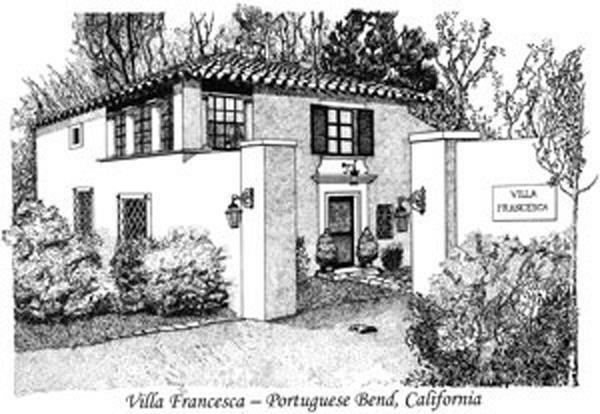 Harry Benedict, the personal secretary for Frank Vanderlip, built the "Villa Francesca" as a gatehouse to the other entrance to the Portugeues Bend gated community on Peppertree Drive. He had planned to build a more palatial estate further up the hill, but as the Depression hit, he too abandoned his plans. Elin Vanderlip, in her memoirs tells the story that Frank Vanderlip Sr. , while vacationing in Paris, had cabeled Mr. Benedict just prior to the 1929 stock market crash to sell his stocks, but Mr. Benedict thought better of it and did not, thus costing Mr. Vanderlip millions of dollars. Mr. Benedict also had control of the Palos Verdes Corporation from 1943 to 1945, which owned the Vanderlip family's remaining ownership of the Palos Verdes Peninsula. 45. What is behind the large gate on the ocean side of Palos Verdes Dr. South just south of the Wayfarer's Chapel? Across the street from the Portuguese Bend Gatehouse and the entrance to the Portuguese Bend community is a house behind a beautiful Gatehouse. This house, known as "The Harden House", was built by Vanderlip's beloved sister Ruth and her husband Eddie Harden. Vanderlip had given Ruth the 48 acres of coastal land on the ocean side of Palos Verdes Dirve South. They constructed a four bedroom home with a 6 car garage. They had planned to build a grand villa out on Portuguese Point, but again the Great Depression foiled those plans. Interestingly, the gate entrance to the estate was used in the movie "It's a mad, mad, mad world" as the entrance to the fictitous "Santa Rosito State Park" and the scene with the crossed palm trees was also filmed on the Harden House grounds. The actual park site of "Santa Rosita State Park" was the grounds of a private residence at Portuguese Point in Rancho Palos Verdes, just south of Abalone Cove Shoreline Park. The parking lot sequences were shot at Peck Park in San Pedro (Western & Summerland, back end of the driveway), with a façade standing in for the gate. After Ruth died, the Harden House estate was reduced from 48 acres to approx. 2 acres, with the balance of the property acquired by the City of Rancho Palos Verdes as The Abalone Cove Shoreline Park. 46. Who owns Portuguese Point? Portuguese Point on left, then Smugglers Cove, then Inspiration Point, then Portuguese Bend Club beach to the right,, with Harden House Estate at upper left. .
47. What is the small white building on PV Drive West above Bluff Cove? Most of the residents pass by the obscure white structure on Palos Verdes Drive West above Bluff Cove between Lunada Bay and Malaga Cove in Palos Verdes Estates without any idea as to what it is. This building is the "Douglas Cut Pumping Station" operated by the Sanitation District to pump sewage. The existing station was constructed in 1962. 48. What was the area where the Peninsuloa Shopping Center is today like before it was developed? This area was the site of several "work camps" from the early 1930's through the early 1950's. 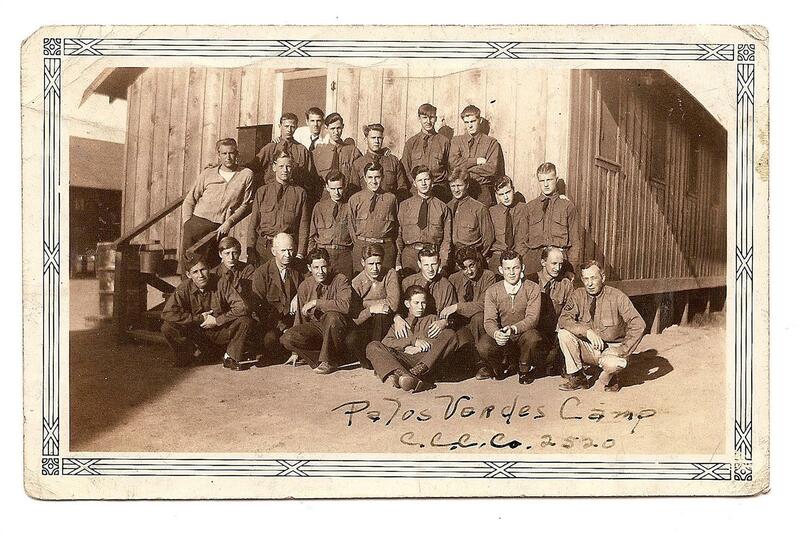 Below is a picture of workers at a Civilian Conservation Corp Camp (CCCC) #2520 in Palos Verdes. Mrs. Frank Vanderlip once stated that the wooded hill behind her home in Portuguese Bend was planted in semi-arid trees by the CCC . TheCivilian Conservation Corps (CCC). 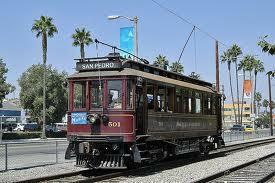 was established as part of the New Deal during the great depression. Its purpose was two-fold -- conservation of our natural resources and the salvage of our young men. It operated from March 1933 to 1942. The CCC planted over 3 billion trees nationwide during its existence, and many of the trees on the Palos Verdes Peninsula may owe their existence to the work of the young men at this camp. The camp consisted of unemployed young men, many of which had dropped out of high school. Most camps also included an education center to teach math and reading. 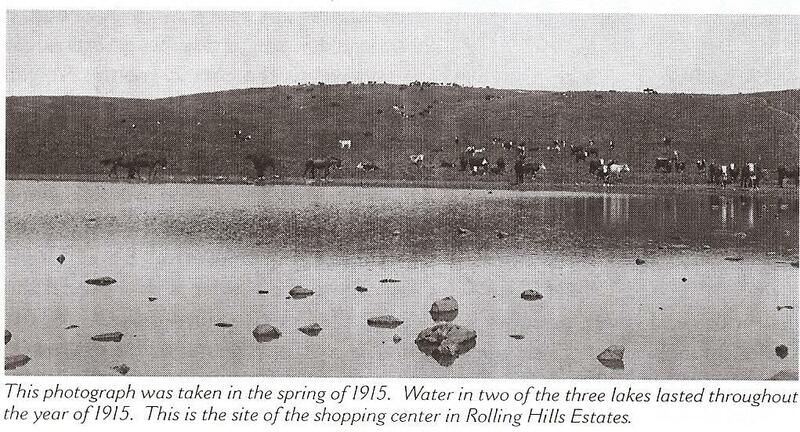 From the early 1900's through 1945, the area now known as The Peninsula Center on Silver Spur Road was periodically covered by seasonal lakes. In Elin Vanderlip's memoirs, she states that the lakes were drained in 1946 and replaced by a detention camp for prisoners, mainly who were there for missing support payments to their ex-wives. These camps probably took over the camp previously used by the Civilian Conservation Corps during the 1930's. 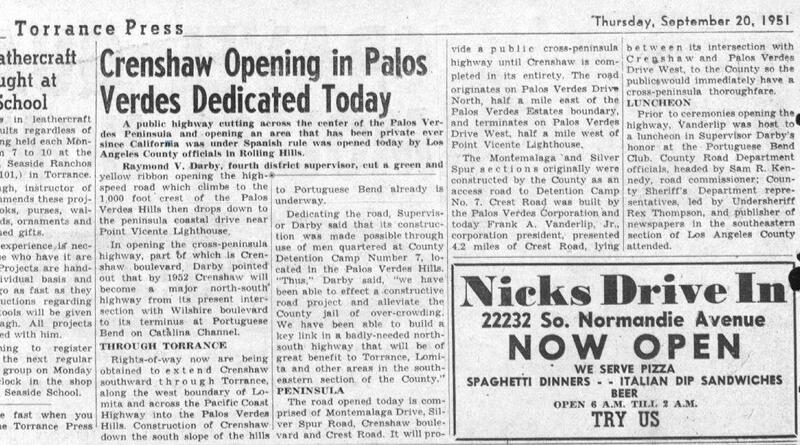 An article from the Torrance Press on September 20, 1951 reporting on the opening and dedication of the newly built Crenshaw Blvd. into the Peninsula stated "its construction was made possible through use of men quartered at County Detention Camp Number 7, located In the Palos Verdes Hills " . The article then went on quoting Los Angeles County Supervisor Raymond V. Darby :"Thus," Darby said, "we have been able to effect a constructive road project and alleviate the County jail of over-crowding." 49. 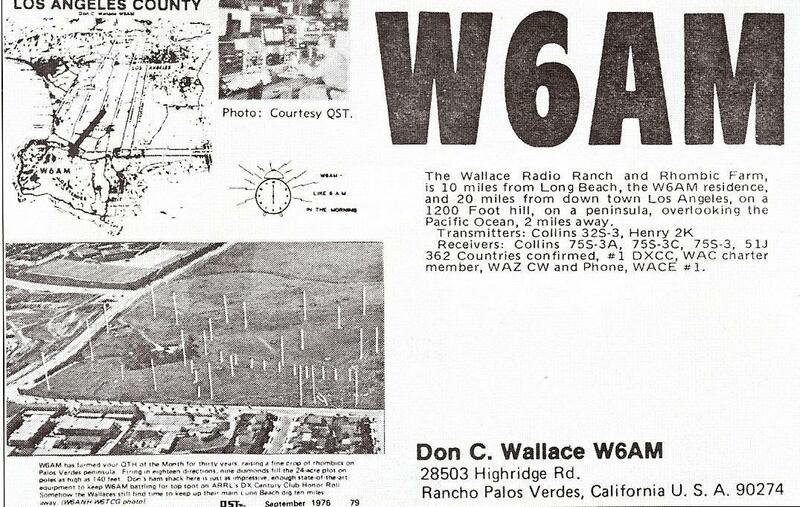 Why is the housing development on Highridge road in the middle of the Palos Verdes Peninsula called Wallace Ranch? 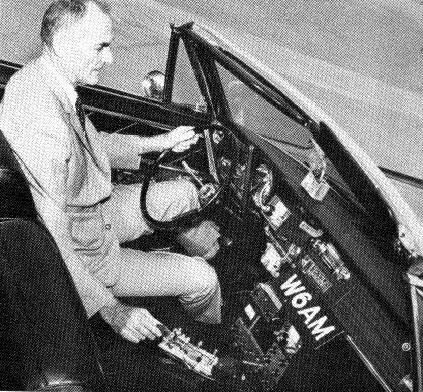 Don Wallace, a ham radio pioneer who worked as an amateur radio operator since 1913, operated W6AM as a ham radio operation from his land atop the Palos Verdes Peninsula at the junction of Armaga Springs road and Highridge road. His antennae farm included a huge installation of rhombics antennaes each perched upon telephone poles, some over 150 feet tall. The site was originally acquired in the 1930's by Press-Wireless, owned by a group of newspapers to receive news dispatches from around the world. During WW II, the War Department used the facilities to communicate with battle operations in the Pacific, relayed to Pearl Harbor. In 1945, Don Wallace bought the land from Kelvin Vanderlip who, in order to control deed restrictions, had bought the land from Press-Wireless. The land which Mr. Wallace owned is today several condominium and luxury home developments including The Wallace Ranch.